The past year has been an extremely busy, but rewarding time for me! I traveled to Midland, Texas; Kansas City to teach at the Kansas City Regional Quilt Festival; Marietta, Georgia and shared with the East Cobb Quilters Guild; and various other guilds in Texas. Then, October brought the International Quilt Market and Quilt Festival in Houston. I always look forward to Quilt Market and Festival. They are the highlight of my year even though they are exhausting. My maintenance workshops at Quilt Festival were full and exciting. I love sharing my knowledge with the owners of these beloved machines. I am very appreciative to you, my customers, students and friends for all the blessings that 2015 brought to me. I wish you a very happy and prosperous New Year. My travel schedule for 2016 is booked and I am scheduling for late 2017 and 2018. Talk to your guild's program director if you would like for me to come to your area. 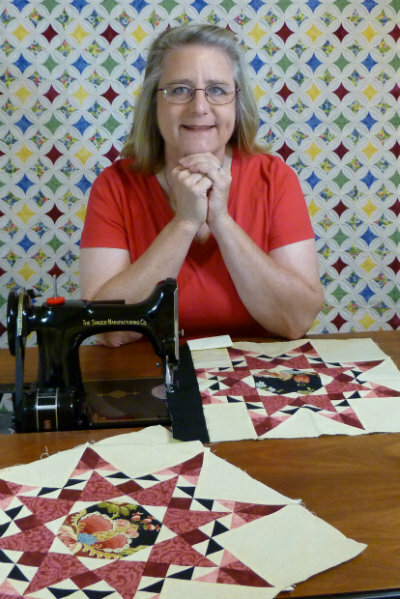 I love sharing with quilters and stitchers all over the country.